Featuring a total of 18 highlights from the Kinks' early career, Rhino's Greatest Hits is the definitive compilation of the group's hit singles from the mid-'60s. 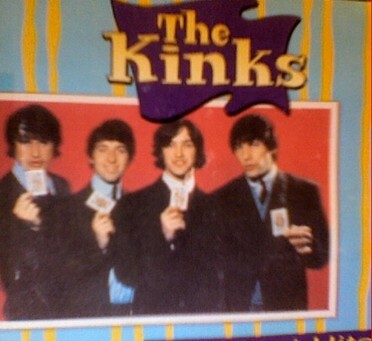 Beginning with "You Really Got Me" and ending with "Sunny Afternoon," all of the Kinks' essential garage rockers and British Invasion singles are here -- "All Day and All of the Night," "Till the End of the Day," "Tired of Waiting for You," "A Well Respected Man," "Stop Your Sobbing," "Dedicated Follower of Fashion," "I'm Not Like Everybody Else," "Where Have All the Good Times Gone." Only the ambitious, Indian-tinged British hit "See My Friends" is missing, but it isn't a major oversight, especially since the disc distills the group's uneven early albums into manageable form for many fans. While Kinkdom, Kink Kontroversy, and Face to Face have many excellent album tracks in their own right, Greatest Hits remains a terrific summation of the group's earliest, hardest-rocking work.